jb Capacitors manufactures SMD Aluminum Electrolytic Capacitor. JCL 5000H at 105°C Chip Aluminum Electrolytic Capacitor is one of the most common series, we sell quite good prices, high quality and with short lead time. 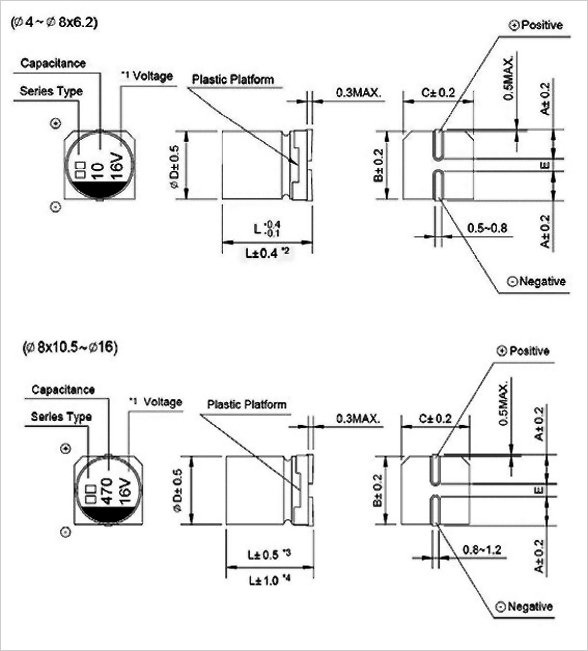 Following are 105 °C SMD Aluminum Electrolytic Capacitor features, specifications and drawing. Load life of 3000~5000 hours.